You have your truck or jeep all set up for some big time off-roading. You have your rig lifted, brand new wheels and off-road tires but something is missing. You need to get the aggressive bumper to go along with it. Your factory bumper might please the standard grocery getter vehicles but when it comes to off-roading, you need something that will handle the abuse you want to put your vehicle through. That is where we come in. You have chosen the right place. We have the bumpers you want to help customize your truck or jeep the way you want to. 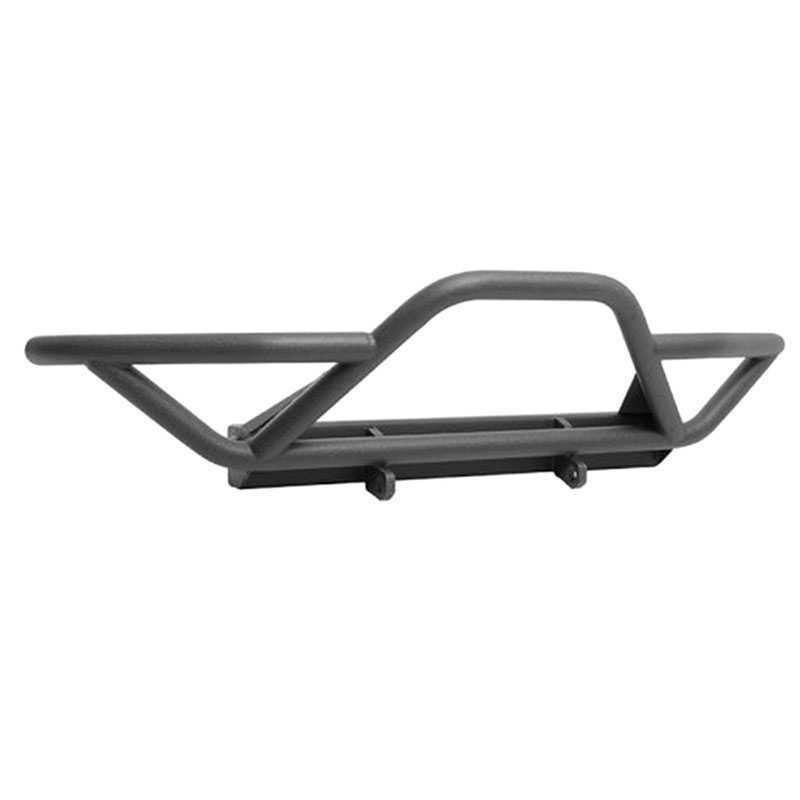 2007-2015 Jeep Wrangler(JK) Smittybilt SRC Oversize Tire Carrier Textured Black (2743). SRC Oversize Tire Carrier by Smittybilt.Smittybilt has the economical solution with this oversize tire carrier. It's designed to mount up to a 37" tire up to a maximum of 195 lbs., and it mounts to the existing holes, with no drilling or vehicle modifications required. 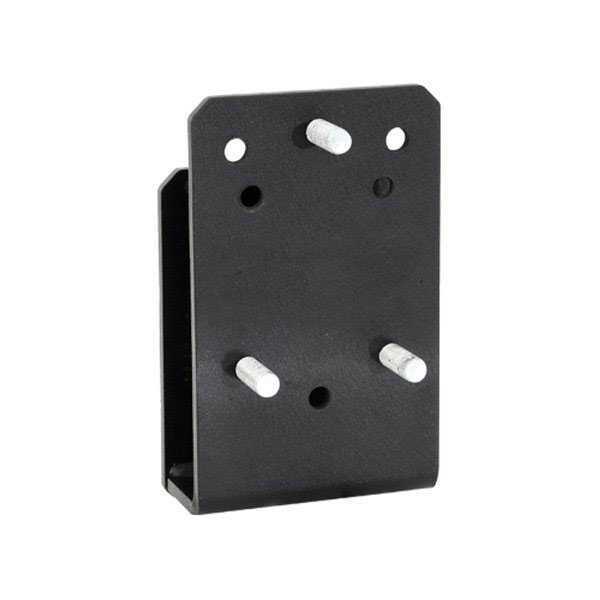 Dual stage textured black powdercoated for appearance and durability, this carrier comes with all necessary mounting hardware and detailed installation instructions. 1976-1986 Jeep (CJ) Smittybilt Bumper Adapter - Front Textured Black (2812). Textured Black Adapter For Front Bumper by Smittybilt. 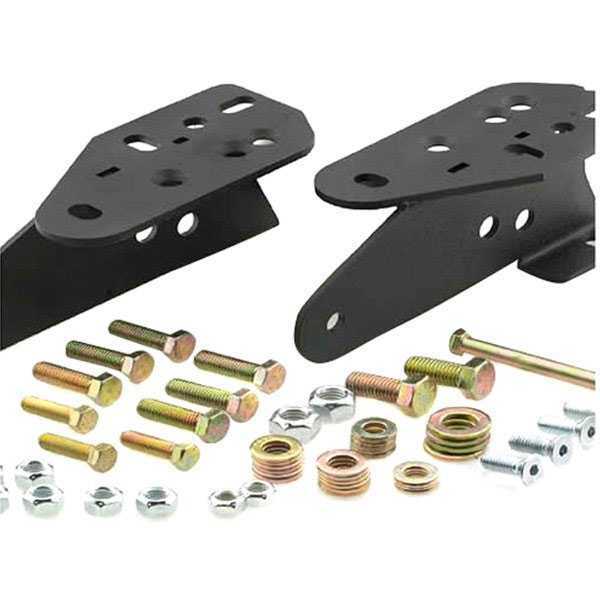 Allows to mount any of Smittybilt YJ or TJ bumpers on a CJ. This product is made from high-grade materials to meet the strictest standards of high quality. Designed with the utmost care and attention to detail, this product ensures superior reliability. It provides long lasting and trouble-free service life. 1987-2014 Jeep (CJ5 CJ7) & Wrangler (YJ/TJ/LJ/JK) Smittybilt Tire Relocation Bracket - Clear Up To 35" Tire Textured Black (3721). Tire Relocation Bracket by Smittybilt. Trucks and SUVs driven off-road put extreme demands on parts, much more than factory or ordinary aftermarket parts can handle. To make sure your rig can make it to the far ends of the trail and back, count on Smittybilt parts and accessories. With over 55 years' experience designing and building products for 4WD trucks and SUVs, Smittybilt knows what works. Every Smittybilt part and accessory is made to improve your vehicle's performance and/or appearance, and enhance your ownership experience. 1987-2006 Jeep Wrangler (YJ/TJ/LJ) Smittybilt SRC Front Stinger - Black Textured Textured Black (76521). SRC Stubby Front HD Bumper with Stinger by Smittybilt. Smittybilt is proud to introduce a complete line of front and rear stingers developed and thoroughly tested in the most extreme conditions. The Smittybilt Stingers are hand crafted to exacting specifications using DOM 1020 2" Tubing which is one of the strongest materials available. 1987-2006 Jeep Wrangler (YJ/TJ/LJ) Smittybilt SRC Rear Bumper W/Hitch - Black Textured Textured Black (76611). Designed with the off-road enthusiast in mind, Smittybilt SRC Rear Bumpers are the perfect addition to any Jeep running oversized tires. 2007-2015 Jeep Wrangler (JK) Smittybilt SRC GEN2 Bumper Rear Textured Matte Black (76614). 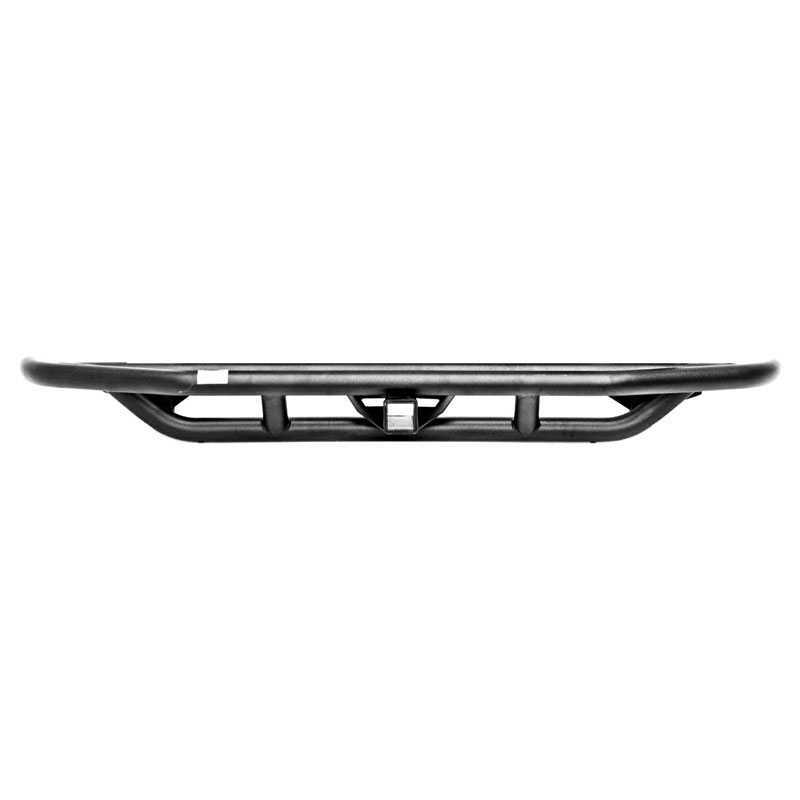 Safeguard your off-roader's rear end against your rugged adventures by upgrading to this supremely tough bumper. Manufactured from the finest materials, it delivers impeccable strength and durability for years of rock-solid protection from off-road obstacles. This top-shelf bumper will make your road warrior look more aggressive. 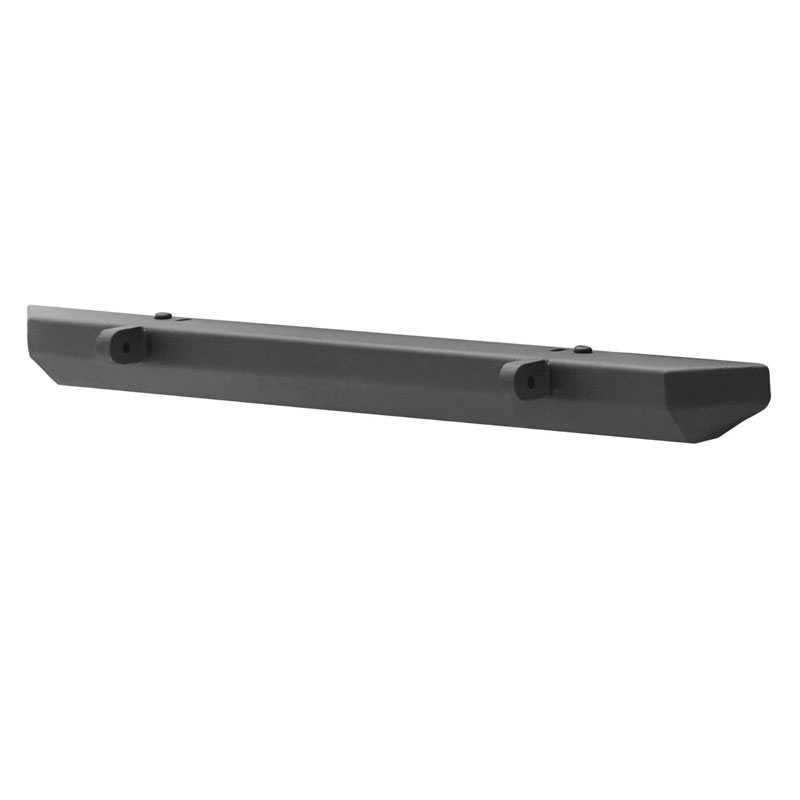 1987-2006 Jeep Wrangler (YJ/TJ/LJ) Smittybilt XRC Rear Bumper - Black Textured Textured Black (76653). 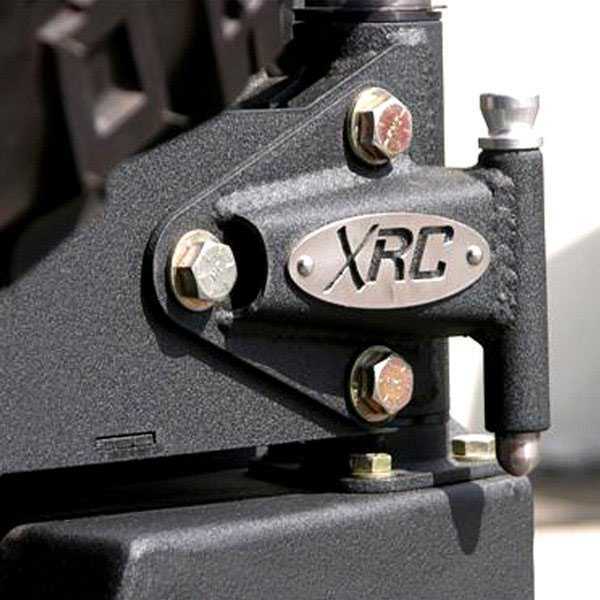 The New XRC Rear Bumper is Manufactured out of 3/16" cold rolled steel, and comes standard with a Class III receiver hitch and two solid D-ring mounts that are welded on the inside and out for maximum strength. 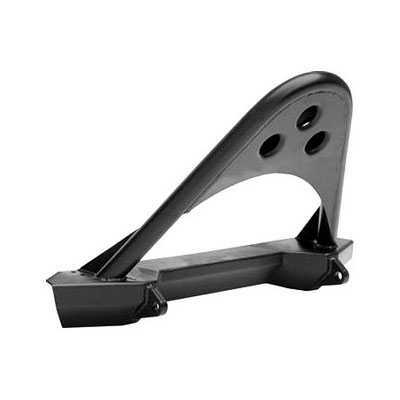 1987-2006 Jeep Wrangler (YJ/TJ/LJ) Smittybilt XRC Rear Swing Away - Black Textured Textured Black (76654). 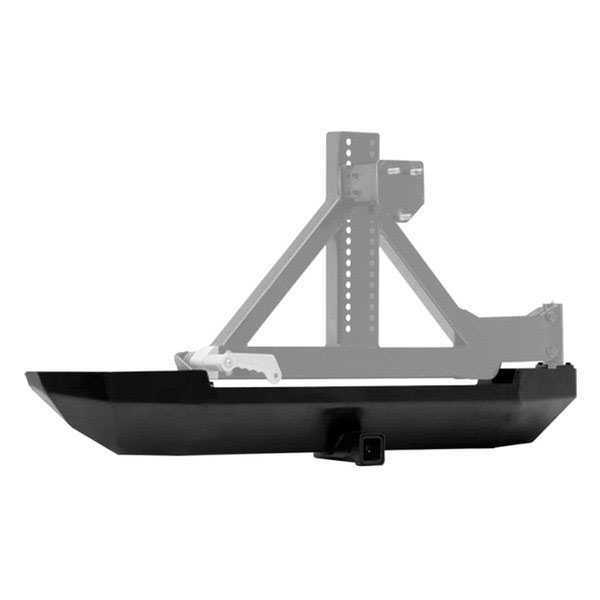 The New XRC Rear Bumper is Manufactured out of 3/16" cold rolled steel, and comes standard with a Class III receiver hitch and two solid D-ring mounts that are welded on the inside and out for maximum strength. 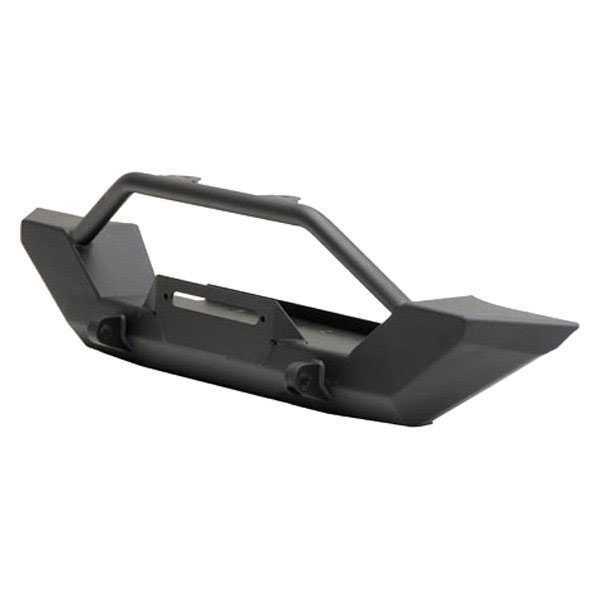 1987-2006 Jeep Wrangler (YJ/TJ/LJ) Smittybilt SRC Front Bumper - Black Textured Textured Black (76721). For the toughest and most durable bumper system ever created, Smittybilt Rock Crawler Series delivers heavy duty equipment designed to withstand the off-road use and abuse. 2007-2015 Jeep WRANGLER JK XRC GEN2 FRONT BUMPER Smittybilt SRC Front Bumper - Gen 2 - 07-14 JEEP WRANGLER Textured Matte Black (76724). 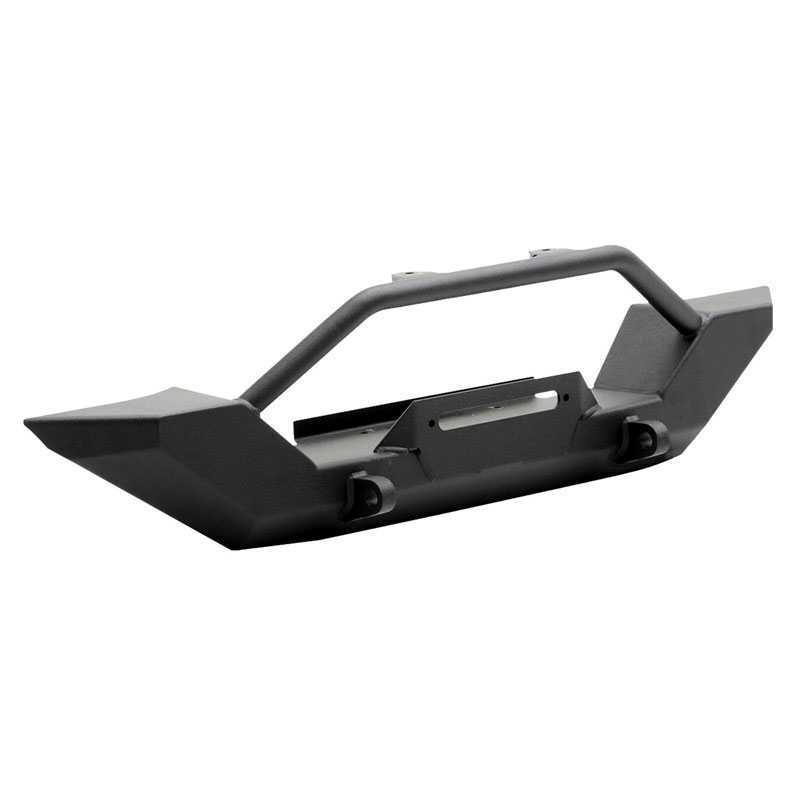 Boost your off-road machine's front end protection to tackle the rugged trails and gnarly terrain with extra piece of mind by setting it with this top-end front bumper. 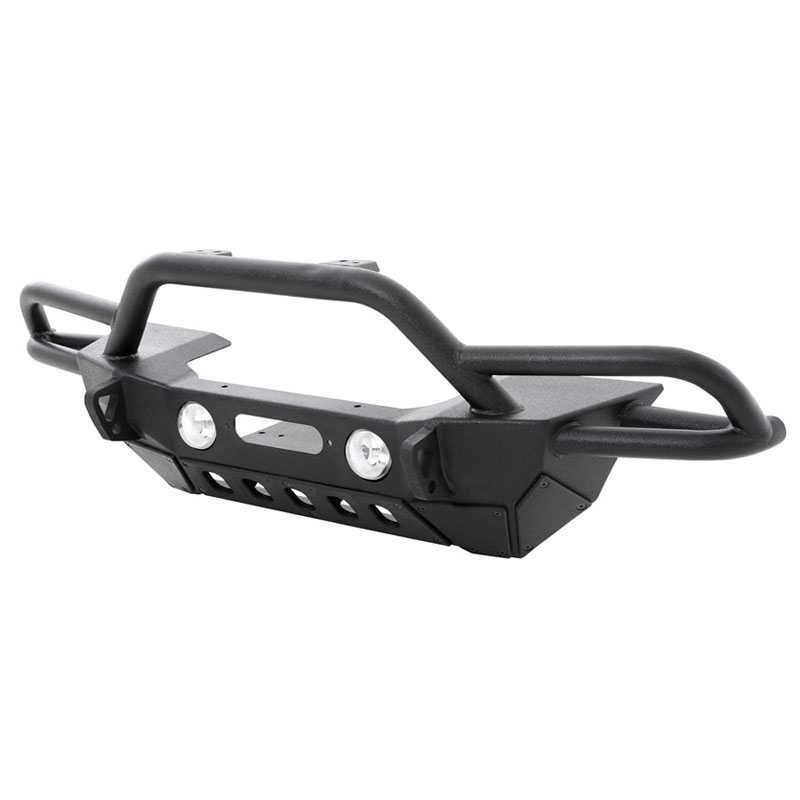 Made to be tough as nails, this off-road bumper will keep your steel stallion safe from damage caused by flying rocks, deer, other vehicles, and everything in between while giving it a sharper look. 1976-2006 Jeep Wrangler (CJ/YJ/TJ/LJ) Smittybilt SRC Classic Front Bumper - Black Textured Textured Black (76740). 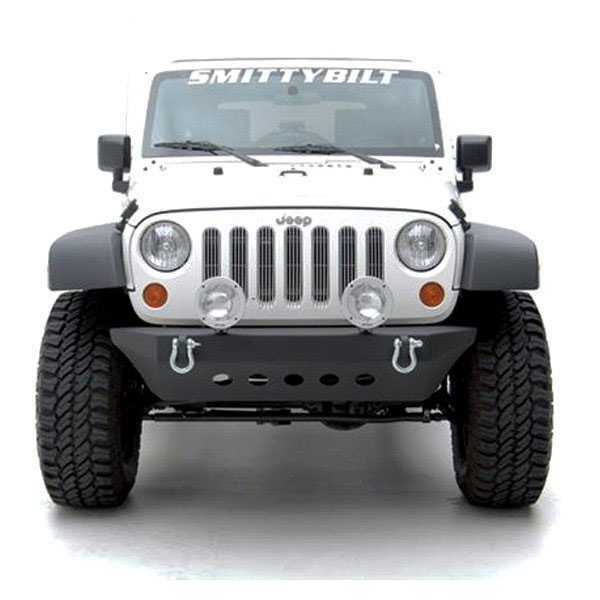 SRC Classic Full Width Front HD Winch Bumper by Smittybilt without D-Rings. Built from heavy duty 3/16" steel plating and powdercoat painted for the utmost longevity, the Smittybilt SRC Classic Front Bumper upholds the standard of performance that Smittybilt has long been known for. 2007-2015 Jeep Wrangler (JK) Smittybilt SRC Classic Front Bumper - Black Textured Textured Black (76741). SRC Classic Mid Width Front HD Bumper by Smittybilt. Built from heavy duty steel and designed to withstand the rigors of off road driving, the Smittybilt Classic Front Bumper is part of Smittybilt's mainstay SRC line of premium Jeep bumpers. 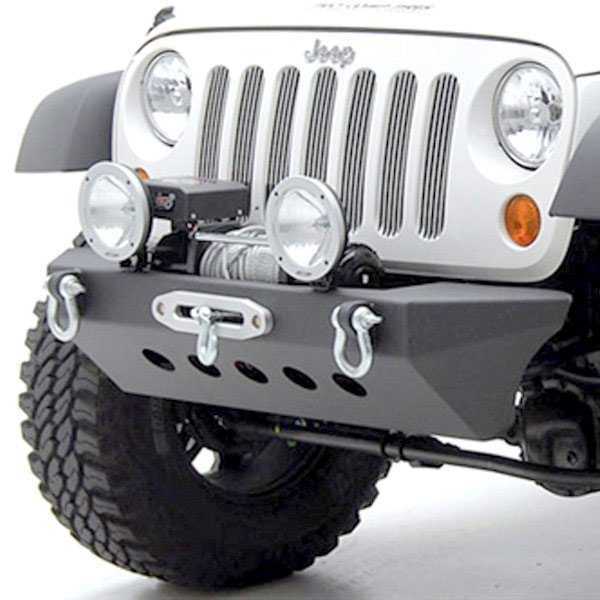 2007-2015 Jeep Wrangler (JK) Smittybilt SRC Classic Front Bumper W/Winch Plate - Black Textured Textured Black (76743). 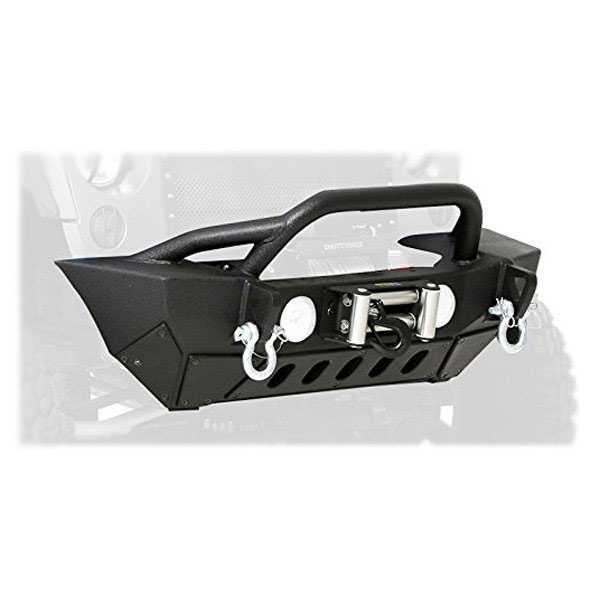 SRC Classic Mid Width Front HD Winch Bumper by Smittybilt. Built from heavy duty steel and designed to withstand the rigors of off road driving, the Smittybilt Classic Front Bumper is part of Smittybilt's mainstay SRC line of premium Jeep bumpers. 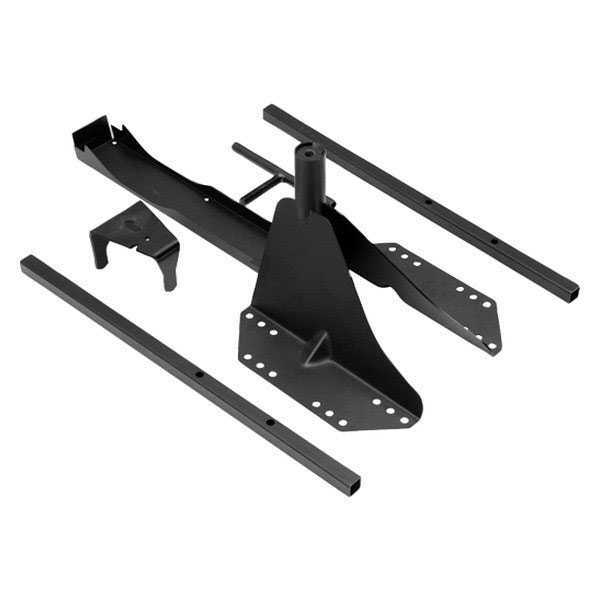 1976-2006 Jeep Wrangler (CJ/YJ/TJ/LJ) Smittybilt SRC Classic Rear Bumper W/Hitch - Black Textured Textured Black (76750). SRC Classic Full Width Rear HD Bumper with Hitch by Smittybilt. The Smittybilt Classic SRV Rear Bumper is as tough as it is practical, as is seen in the 1/4" steel plate design, intuitive mounting system to carry an oversized spare tire. The SRC Classic rear bumper is powder coated in our signature textured finish. 1997-2006 Jeep Wrangler (TJ/LJ) Smittybilt XRC Front Bumper W/Winch Plate - Black Textured Textured Black (76800). XRC Mid Width Front HD Winch Bumper with Hoop by Smittybilt. The Smittybilt XRC Bumper line was engineered to provide maximum clearance for rock crawling. 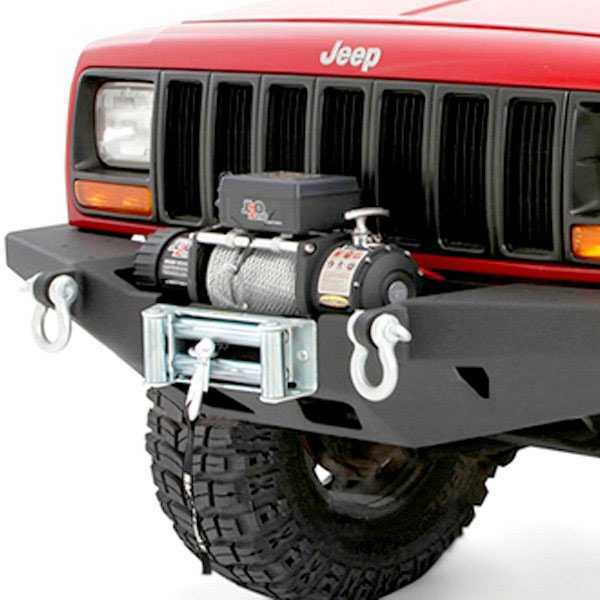 1987-1995 Jeep Wrangler (YJ) Smittybilt XRC Front Bumper W/Winch Plate - Black Textured Textured Black (76801). XRC Mid Width Front HD Winch Bumper with Hoop by Smittybilt. The Smittybilt XRC Bumper line was engineered to provide maximum clearance for rock crawling. 2007-2015 Jeep JEEP WRANGLER JK SRC GEN2 FRONT BUMPER Smittybilt XRC Front Bumper - Gen 2 Textured Matte Black (76807). XRC Gen2 Mid Width Front HD Winch Bumper by Smittybilt. 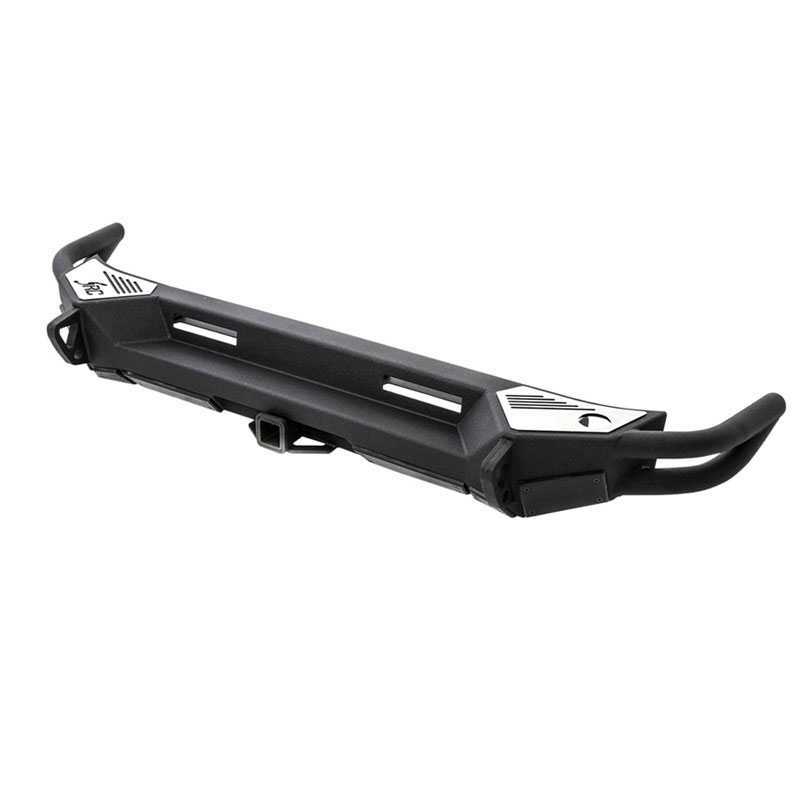 Boost your off-road machine's front end protection to tackle the rugged trails and gnarly terrain with extra piece of mind by setting it with this top-end front bumper. Made to be tough as nails, this off-road bumper will keep your steel stallion safe from damage caused by flying rocks, deer, other vehicles, and everything in between while giving it a sharper look. 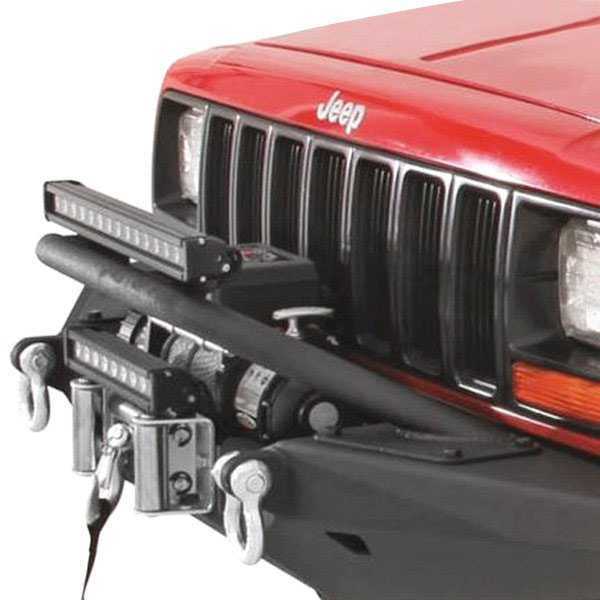 1984-2001 Jeep Cherokee (XJ) - 2/4 Door Smittybilt XRC Front Bumper W/Winch Plate - Black Textured Textured Black (76810). XRC Full Width Front HD Winch Bumper by Smittybilt. The all new line of Smittybilt XRC bumpers for the 84-01 Jeep Cherokee was engineered to provide maximum ground clearance. Manufactured out of 3/16" cold rolled steel that is robotically welded to exact specifications. 1984-2001 Jeep Cherokee (XJ) - 2/4 Door Smittybilt XRC Front Bull Bar Option - Fits XRC Bumper 76810 Textured Black (76811). XRC Front Bull Bar by Smittybilt. This product is made from high-grade materials to meet the strictest standards of high quality. Designed with the utmost care and attention to detail, this product ensures superior reliability. It provides long lasting and trouble-free service life.